Premiere queer global streaming network, Revry, is proud to present the 3rd annual Out Web Fest (OWF), the first queer web festival celebrating the best in independent LGBTQ digital storytelling. OWF announces its 2018 competition lineup today as the festival features luminaries in the LGBTQ+ and media influencer communities with industry speaker panels, parties, screenings, digital pitchfests and the Revry Visibility Awards. OWF introduces international and local digital content creators, producers, and fans to inclusive programming, acknowledging the cultural significance of this revolutionary intersection of medium and storytelling. 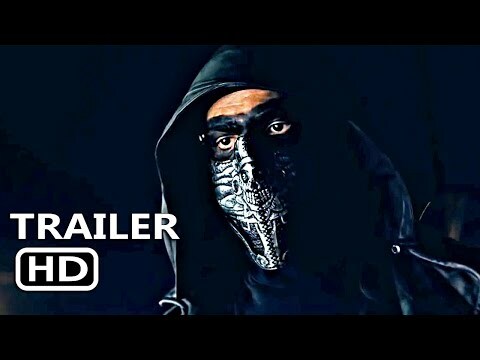 The three-day fest starts with opening night at YouTube Space LA May 18th, with the rest of the festival taking place in the heart of West Hollywood, California at the London Hotel. Past awardees, participants, and sponsors include Tyler Oakley, Gigi Gorgeous, Hannah Hart, Ari Fitz, Amber’s Closet, Viacom, EOne, Grindr, and Maker Studios. Closing night awards will include prizes like free sound stage rentals courtesy of Shamrock Studios, Revry Development and Distribution deals, as well as an Audience Award with automatic entry into Rio Web Fest including travel and accommodations to beautiful Rio de Janeiro. OWF is proud to partner with other international web festivals including New Zealand Web Fest and the International Online Web Fest. 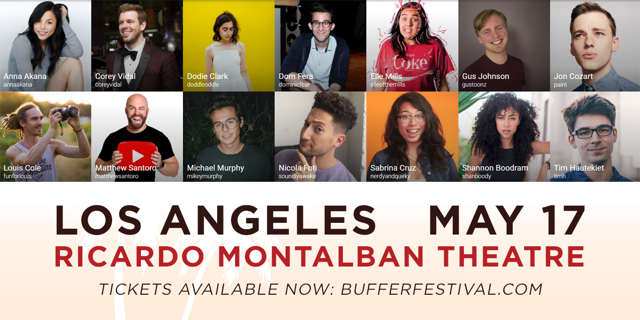 This year OWF is partnering with famed digital creator festival, Buffer Festival for their first Buffer Festival LA on May 17 (including Dodie Clark, Louis Cole, Matthew Santoro, Mikey Murphy & Sabrina Cruz). “We’re incredibly excited to join forces with Revry’s OWF in the very first Buffer Festival LA. Revry’s OWF has been a leader in promoting diversity through elevated content and stories about real people and real circumstances, something Buffer Festival is passionate about as we make our expansion across North America,” Scott Benzie, CEO of Buffer Festival, said. OWF is the world’s only digital festival dedicated to celebrating web series, short films and music videos by and for the global queer community. OWF's mission is to provide the opportunity for all queer content creators to connect with the global community and celebrate the progressive evolution of LGBTQ+ entertainment. OWF breaks the mold of other festivals by giving prominence and a voice to the honest and unfiltered digital short-form storytelling that does not rely on access to resources, lofty budgets, or elite “movers and shakers” in the industry. In the 21st Century short-form content leads as the hottest and fastest growing category in digital entertainment and we believe it is the perfect forum to share multiple perspectives of queer culture that make our stories some of the most innovative, ground-breaking, and unique in the world. OWF introduces international and local digital content creators, producers, and fans to inclusive programming that acknowledges the cultural significance of this revolutionary intersection of medium and storytelling. Revry is the premiere queer digital media network for the inclusive 21st century LGBTQ+ community. As the first-ever global queer streaming service, Revry offers a uniquely curated selection of domestic and international entertainment that includes iconic, award-winning narrative and documentary films, cutting-edge series and originals along with the world’s largest queer libraries of groundbreaking podcasts, music albums and videos. Revry is available worldwide on seven OTT, mobile, and online platforms, and hosts an exclusive linear channel on Pluto TV with a reach of over 10 million people in over 100 countries. Headquartered in Los Angeles, Revry is led by an inclusive team of queer, multi-ethnic and allied partners who bring decades of experience in the fields of tech, digital media, and queer advocacy. Follow on Facebook, Twitter, and Instagram @REVRYTV. Go Online to: www.Revry.com. Welcome to The London West Hollywood, a tranquil oasis that combines cosmopolitan elegance and laid-back California cool to create an unparalleled destination for a discerning new breed of luxury traveler. IOWF - The International Online Web Fest is a seasonal online event which specifically helps independent filmmakers to raise their visibility through the web. We do so by creating and taking care of your communication on line and especially on social media channels. Rio WebFest had its inaugural edition held in 2015 in Ação da Cidadania and Casa Porto, two cultural centers located in the Harbour Zone of Rio de Janeiro, where 185 submissions, 65 national and 120 international, competed for more than 30 awards. Headquartered in Cidade das Artes, the 2016 edition grew exponentially, lending to the event real notoriety. The 2017 edition made Rio WebFest one of the most important events of the category in the world, with more than 500 series submitted, of which 206 competed for 54 trophies, cash prizes, co-production contracts and three international trips. The NZ Web Fest is New Zealand's festival that curates and celebrates online content, web series and shows -- fiction, factual, and anything in between. New for 2018 are submission categories accepting 3D, AR, MR, and VR projects. #NZWF18 runs each November in Auckland, presenting a conference day of panel discussions and presentations, an awards ceremony, and two days of screenings.